I was asked to discuss the call of Abraham and the offering of Isaac recorded in Genesis 12:1-4 and 22:1-14. We wanted to approach these narratives not just as a historical account or an academic exercise, but as an example that is practical, personal and relevant to our daily lives. Abraham was instructed to leave his father’s house and his homeland, and go into a land that God would show him. The Bible says, “And he went out, not knowing where he was going” (Heb. 11:8). 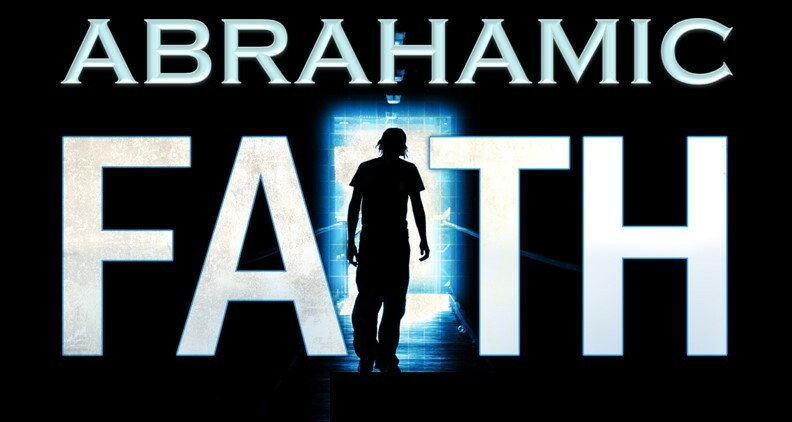 Abraham had faith in God. More incredibly, God promised to bless him. Make his name great. Produce from his descendants a great name. Give them a land. And from his seed would come One who would bless the entire world. What makes this so amazing is that at this point Abraham is unknown, obscure and childless. Oh, and he is 75 years old. Yet, the Hebrew writer’s account says, “he obeyed.” “Went.” “Dwelt.” “Waited.” And “offered.” Abraham’s life reminds us that faith is active. Not passive. It would be 25 years before Isaac was born to Abraham and Sarah. During those years so much happened. There was a dispute between the herdsman of Abraham and his nephew Lot. And so they separated. Later Lot was captured and then rescued by Abraham. While waiting, God renews the covenant. But Sarah, showing her impatience intervenes and gave Abraham her maidservant, Hagar to conceive a son. As a result, Ishmael was born. But he was not the child of promise. Twice during these years, we read how Abraham, fearing for his life, lied about Sarah being his wife and said, “she is my sister.” (Gen 12:11-13; Gen 20:2). When Abraham is 99, God again appears and gives him a sign of His covenant through the rite of circumcision. We recall how Sarah laughed at the thought of bearing a child in her old age (Gen 18:12)). But the Bible says that Abraham also laughed at the idea (Gen. 17:17). Through these 25 years, Abraham had his share of challenges. Like us, he was not a perfect person. He was not sinless. But God used him, knowing he had a good heart and could become the person He needed him to be. Our journey of faith will also encounter problems and pitfalls. But, like Abraham, our faith can grow, mature and be strengthened. The ultimate test of Abraham’s faith came when God commanded him to offer Isaac as a burnt offering in worship to God. While this may have seemed contradictory to God’s promise, by now Abraham’s faith was so strong that he didn’t doubt what God could do. What was Abraham thinking? The Hebrew writer offers some insight. “He considered that God was able even to raise him from the dead” (Heb. 11:19). Of course, Isaac wasn’t offered. It was a test. And Abraham passed the test. We concluded our devotion last night by reminding the young people of 3 important facts about faith. (1) Your faith pleases God (Heb. 11:6). It shows that you trust Him. Expect him to provide. Believe in His promises. And that you rely on His power. (2) Your faith is perfected by works. (Jas. 2:14-16). “Faith without works is dead.” Like Abraham, our faith must be active. It must be demonstrated and is made complete by our works. Give some thought to this wonderful Bible example. I believe it will strengthen your faith.